It seems the Doctor Who TARDIS is too soft to hold you to start a long period space travel. But the Tardis amigurumi is perfect as a hanging ornament. As we see, the unique amigurumi are knitted into a well-known police box, Doctor Who’s spacecraft Tardis. 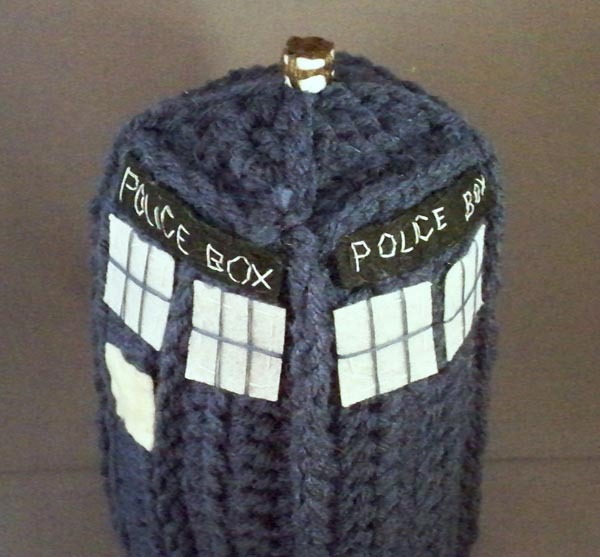 The handmade knitted TARDIS measures 7.2 inches tall, and features full details of the odd spacecraft such as classical dark blue body, flashing light on the top and even the note below the windows. The Doctor Who Tardis amigurumi is priced at $39.99 USD. 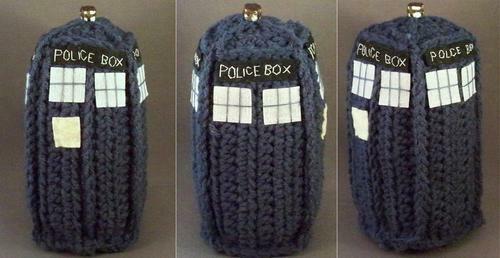 According to the crafter, this is one-of-a-kind Tardis amigurumi. So if you like the unique crochet doll, you’d better reach a decision soon. More details access to Etsy. By the way, don’t forget to check these wonderful Superheroes crochet dolls. Additionally, you can also make a Tardis by yourself.